Cirque du Soleil proudly announced its return to the Philadelphia area in Oaks,PA with a new Big Top show, AMALUNA. The critically acclaimed production will be visiting Oaks for an engagement of 40 performances. 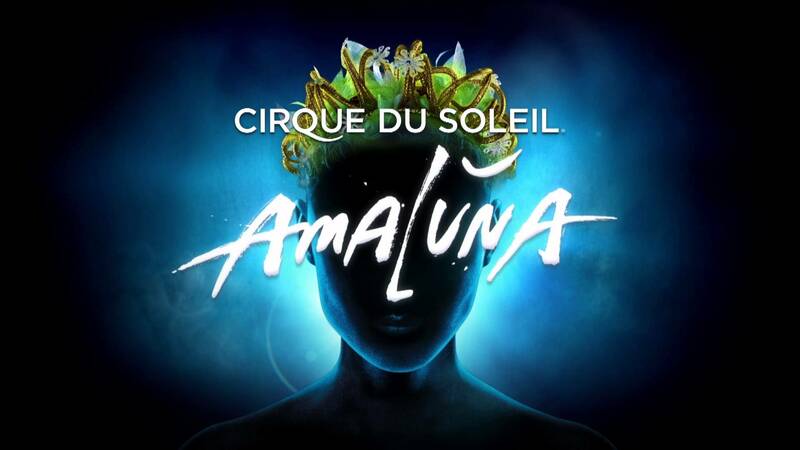 AMALUNA will premiere on July 24, 2019 under the Big Top adjacent to the Greater Philadelphia Expo Center, minutes from the King of Prussia Mall. Written and directed by Tony Award-winning director, Diane Paulus, Cirque du Soleil’s 33rd production AMALUNA is a celebration of love and a tribute to the work and voice of women. In addition to AMALUNA, Cirque du Soleil’s new arena production, CRYSTAL, blending circus arts and the world of ice skating will open in Philadelphia, PA at the Wells Fargo Center on June 20 – 23, and in Allentown, PA at the PPL Center on June 26 – 30. For more information and tickets visit https://www.cirquedusoleil.com/crystal. 15% off on Price Levels 1-2 for all shows. Visit www.cirquedusoleil.com/cirqueclub to sign up. Amaluna gratefully acknowledges its official sponsor in Dallas, Nicolas Feuillatte, Hennessy Black, Panasonic Batteries and realtor.come. CIRQUE DU SOLEIL ENTERTAINMENT GROUP Originally composed of 20 street performers in 1984, Cirque du Soleil Entertainment Group completely reinvented circus arts and went on to become a world leader in live entertainment. Established in Montreal, the Canadian organization has brought wonder and delight to over 190 million spectators with productions presented in close to 450 cities in 60 countries. Cirque du Soleil Entertainment Group currently has over 4,000 employees, including 1,400 artists, from nearly 50 countries. Cirque du Soleil Entertainment Group creates content for a broad range of audacious projects. On top of producing world-renowned shows, the organization has extended its creative approach to a large variety of entertainment forms such as multimedia productions, immersive experiences, theme parks and special events. Going beyond its various creations, Cirque du Soleil Entertainment Group aims to make a positive impact on people, communities and the planet with its most important tools: creativity and art. For more information about Cirque du Soleil Entertainment Group, please go to cdsentertainmentgroup.com.